Portable Hand Tools, Welder Guns, Spray guns, Short Blast Guns, Drifting Attachments in mines and Quaries, Jute and synthetic bag closing machines, Gauges, Jigs and Fixtures, Pendant Station, Switch Button of Hoists, incase of de-oxidation, water washing of plating work with raising and lowering of work etc. 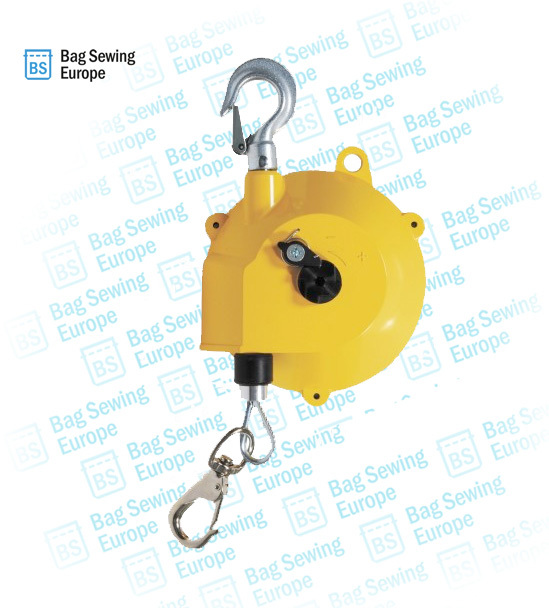 Overhead Spring Balancers are specially designed to free the operator from weight of the hand tools. When properly balanced by adjusting the spring tension, the tools become almost weightless in the hands of the operator, and can be moved up and down with very little effort. Prior to the safety initiatives and modifications undertaken by Grunefelt older design Spring Balancers had only limited safety measures, due to which these older type Spring Balancers were prone to operational hazards and industrial accidents leading tohuge compensations. Producers have introduced several safety features into the new designed Spring Balancers while retaining all the existing safety features. Spring Balancers have thus become more user friendly, eliminating chances of accidents.